The Ningaloo Reef is approximately 260km long and is one of the largest fringing reefs in the world! It supports an abundance of fish (500 species), hard and soft corals (300 species), molluscs (600 species) and many other invertebrates. Come experience the best of the Ningaloo Reef on this adventurous deeper dive on the outer parts of the reef. Our highly skilled skipper and crew know the best spots on the reef to show a totally different side of Ningaloo. Experience the surreal topography of the untouched reef where you can see vertical walls, overhangs covered in soft coral, boulders and massive coral formations! 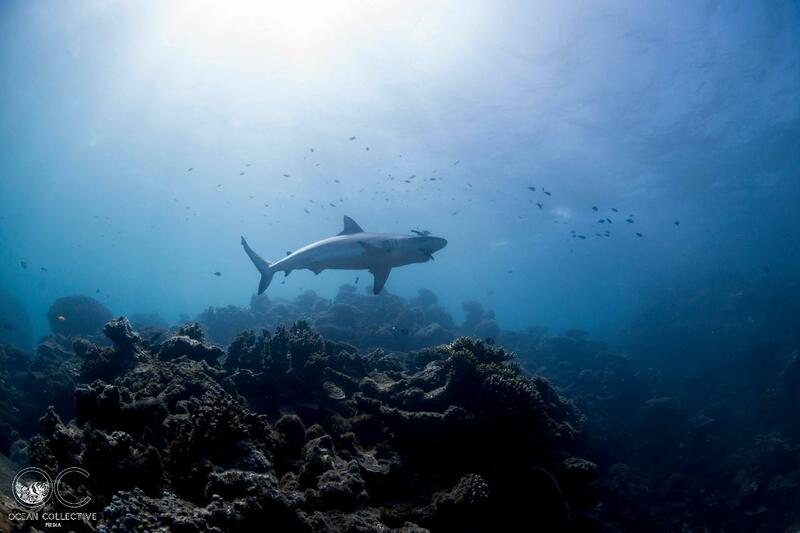 A myriad of sharks may curiously come and visit, turtles, stingrays and possibly even a couple of manta rays. We meet at the dive shop in the morning where we check you in, give you your dive equipment and complete paperwork. We will then transport you to the dive boat, set up dive gear, give briefings and steam to the outer reef. We will complete two dives with a surface interval of around an hour between. Food will be provided, and depending on the conditions of the day, we will be back on land by approximately 3pm. To participate, you are required to hold an advanced Open Water certification and at least 10 logged dives. Only hold an open water certification? No problem!! For an additional $25 you can join an instructor on your deep adventure dive, which will contribute towards your PADI Advanced Open Water certification in the future.